The Archbishop of Canterbury noted Princess Diana's willingness to reach out to the poor and downtrodden in two prayers meant to be read at memorial services marking the 10th anniversary of her death, the Church of England said Monday. Princess Diana's sons requested the prayers, which were written by Rowan Williams. 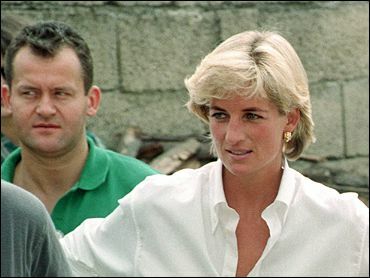 "God our Father, we remember before you Diana, Princess of Wales, and offer you our gratitude for all the memories of her that we treasure still," Williams wrote in one prayer. "Her vulnerability and her willingness to reach out to the excluded and forgotten touched us all; her generosity gave hope and joy to many." The prayers will be read at the Aug. 31 memorial service attended by Princes William and Harry at the Guards Chapel in central London. The prayers were also made available to other churches around the country. Diana, 36, her friend Dodi Fayed, 42, and chauffeur Henri Paul were killed when their Mercedes crashed in a Paris tunnel on Aug. 31, 1997. The only survivor was bodyguard Trevor Rees.